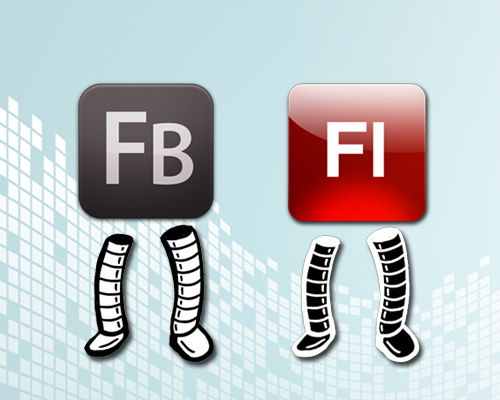 UPDATE (June, 2012): Adobe announces the plan for concurrency in Flash Player and AIR – Workers. UPDATE (January, 2013): ActionScript “Next” (aka 4.0 as I call it here) has been explicitly removed from the Adobe Roadmap. 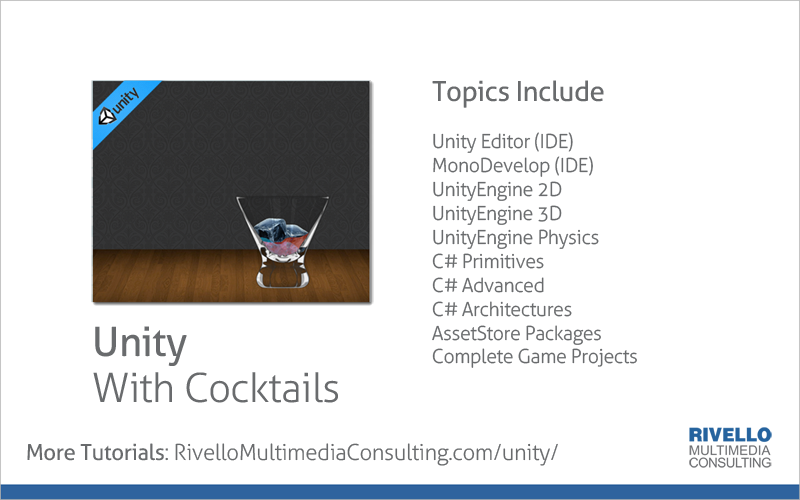 UPDATE (August, 2013): The offerings in ActionScript are vast, but to see a more powerful language, I recommend to take a look at C# in my free, HD video training series on “Unity3D & C#“. Check it out! 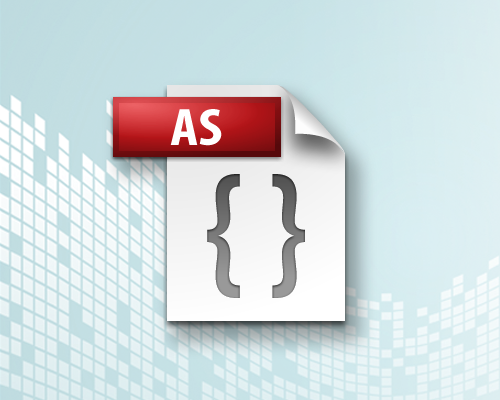 The range of applications and content for ActionScript has shifted significantly in recent years, while the ActionScript 3 language remains virtually unchanged since its introduction in 2006. 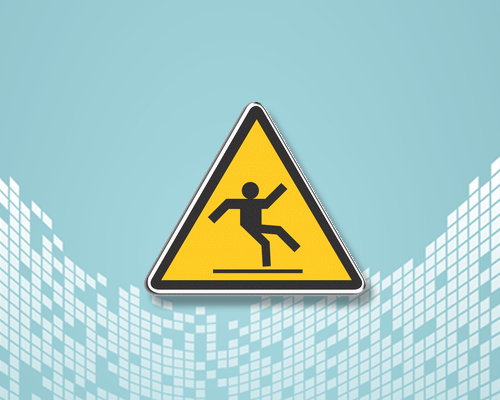 Adobe believes it is time to revise the language to carefully steer its further evolution towards greater expressiveness as well as productivity and performance gains. First, Adobe plans to make significant performance increases in the short term with a goal of continuing performance improvements over the long term. 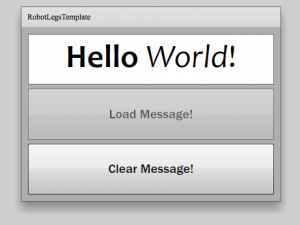 Performance is the primary goal when we approach how to evolve ActionScript. Second, Adobe aims to increase developer productivity by simplifying the language, improving tool support, and boosting bug prevention. Finally, having reduced unnecessary complexity, we will be in a position to innovate within the Flash runtimes much more quickly. Hardware-oriented numeric types: For example, int , uint , float , float4 , byte , short , long , etc. (the exact set of types is still under discussion). Currently in ActionScript 3 integer values can overflow into floating point values. This will be changed so that numeric operations will never change the underlying representation of the numeric. We foresee this addition greatly reducing implementation complexity and improving runtime performance. These are just a couple of areas that we are focusing on. We will update this document as our thinking evolves and solidifies around how the language and virtual machine will change. Its is stated that AS4 will not be completely compatible with AS3. So maybe there will be a compiler option and one must choose EITHER one or the other (similar to the mutual exclusive option between AS3 and AS2. Depending on the amount of changes in AS4 we may see a new virtual machine inside the player designed to run only the AS4. Currently there are two VM’s – one for AS3 and one for older ActionScript. Abstract Classes with Abstract Methods (ASL-18) – Well, do I have to have to say something about that wish? 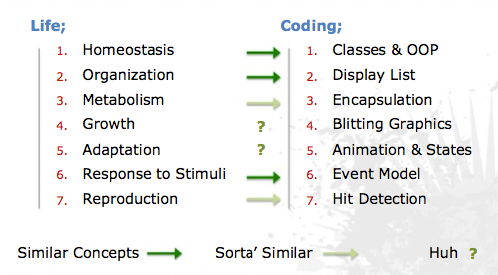 Basically abstract classes are such an essential thing, I am still wondering how Action Script made it to 3.0 without them. Just documenting which Methods must be overridden is not enough. And the known workarounds are really… well… hm… forget it – this is a compiler thing, which cannot be checked at runtime. Generics (FP-811) – The Vector class is a good start – but it’s not well supported in Flex 3 (keyword: data binding) and it’s not a generic concept. There should be something like Generics in Java that provide type checking at compile time, but can also be used for any custom class, just like in Java. Enums – While I have a (almost) perfect workaround for Enums in AS3, it would be great to see native language support. Improved ‘Event Listener’ syntax and performance. I like the features offered by the AS3-Signals project. Operator Overloading (ASL-10) – Still missing it in Java and this is, where Action Script could actually beat Java. I don’t want to have another equals method for comparing arbitrary classes for equality – I want to be able to simply override the == operator to be able to compare any two objects for equality. Or the + operator for concatenating two data structures. 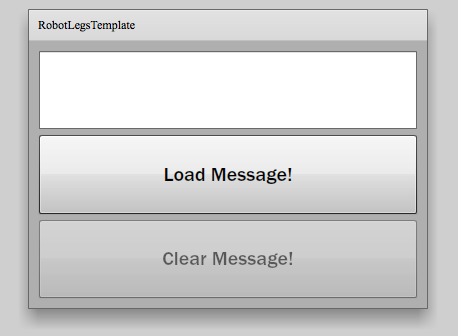 Just like in C++ or smalltalk. What would you like to see in AS4? Comment below! 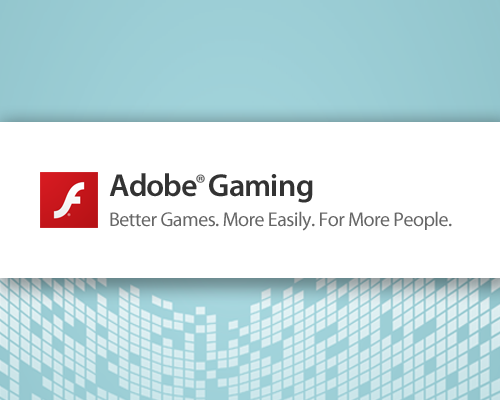 Read the Introduction To Adobe Game Developer Tools. 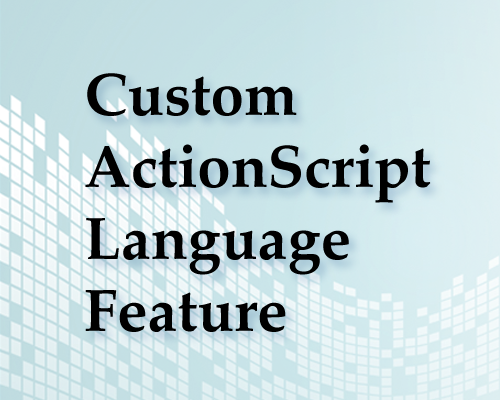 The offerings in ActionScript are vast, but to see a more powerful language, I recommend to take a look at C#. All of these features and more, plus Unity3D & C# best practices are included in my free, HD video training series on “Unity3D & C#“. Check it out! The Singleton design pattern requires a class to have exactly one instance – preventing multiple instantiation. The pattern is very useful – including utility classes that manage ‘one thing’ throughout the entirety of your application. Singletons are not natively supporting in AS3. Why? I have no idea. It would have been nice. 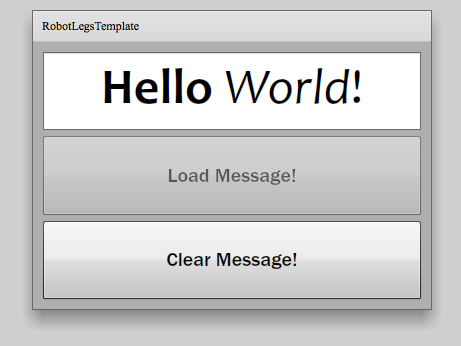 Perhaps it will be included in the upcoming ActionScript 4.0 when it is released. I show two styles. Only one style is needed. Learn each one and then choose your favorite! Not everything in your application should be a Singleton. Its a tool to be used sparingly. In face there is active debate (here, and here) if Singletons are actually the devil. I say Singletons are NOT the devil. But don’t take my word for it see those debates. Don’t understand me? I don’t blame you. It’s crazy. Check out the source (See ‘Member Resources’ below) and tell me what you think in the comments below! UPDATED: I have incorporated all comments into a new version of my demo, and updated the post and source code! Old comments are cleared. An Enum is a kind of variable that is not natively available in ActionScript 3.0, but can be found in other languages such as C++. 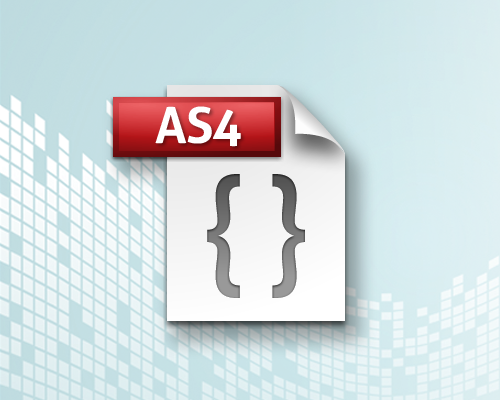 Perhaps Enums will be included in the upcoming ActionScript 4.0 when it is released. // trace 'true' - This is the most common usage. Don’t understand me? I don’t blame you. It’s crazy. Check out the source (See ‘Member Resources’ below). 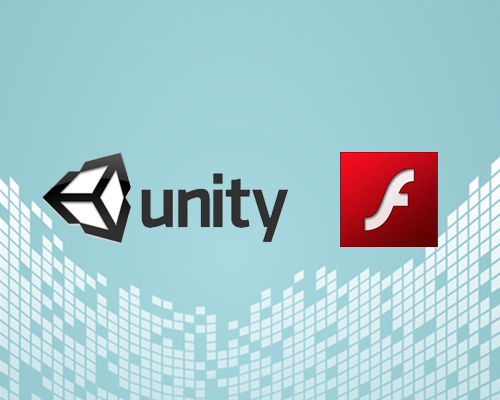 As EDGE online reports – Tail Drift has been selected as the winner of Unity’s Flash In A Flash Creation Contest, which tasked entrants with porting Unity-authored games to Adobe Flash. Developer Cameron Owen has won $20,000 for his flight-based arcade racer, which was selected ahead of more than 500 fellow entrants. Unity Technologies‘ Flash development lead Lucas Meijer said: “Not only is Tail Drift incredibly fun, but it also shows off both the amazing technology and fast development capabilities of Unity. CEO David Helgason added: “This was a thrilling contest for all of us at Unity. 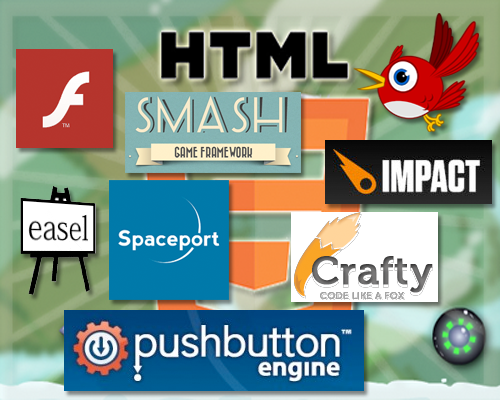 Our engineers have created some terrific technology for the Flash platform and it’s truly inspiring to see so many developers adopt and create such amazing games so quickly. Three games were named runners-up, and the developers of each receive $1,00, Unity Pro with iOS Pro, and an iPad 2. 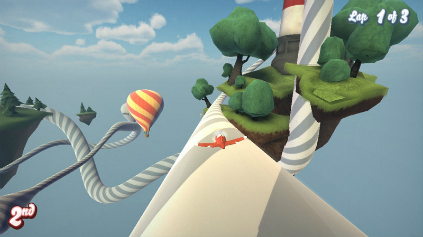 A further six games get Unity Pro with iOS Pro. You can see the Live Online Demo. I originally presented this project on a fantastic 360|Flex sponsored 7-Day cruise in the Caribbean several years back. What a great event! Finally, its all available now online.. I always find it fascinating to compare the technical world and the biological world. There is even an area of technological innovation where engineers study animals to influence new robotics designs. Here is a great Ted.com video of Robert Full Learning From Gecko Lizards. In my simple demo I learned a lot too, and am inspired with many game ideas too. 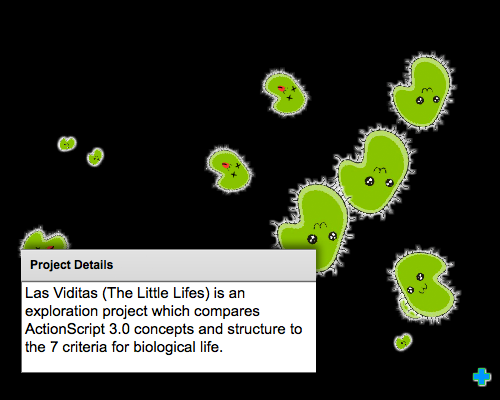 The ecosystem on the right is the “petri dish” where the green viditas grow and move. There intelligence guides them to eat the blue ‘food’ and bounce off the walls. As they eat, they grow. As they starve, they shrink. Too much time without food, and they will permanently die. 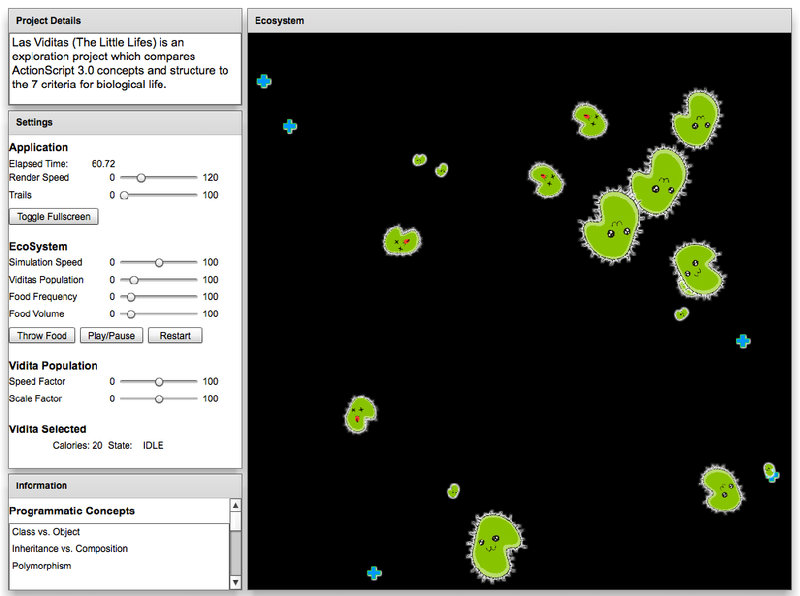 Experiment with the settings and see how the population’s survival rate changes. Run the Live Online Demo. 4.1 PureMVC: (See my complete “Intro To PureMVC” tutorial article. Click the video thumbnails below to watch the videos.